Alex McLeish has agreed to become Scotland manager for the second time – 11 years after leaving the post. The Scottish FA failed in its attempt to recruit Michael O’Neill, who instead chose to stay with Northern Ireland. McLeish’s first games in charge will be against Costa Rica and Hungary next month, followed by further friendly matches in Peru in May and Mexico in June. McLeish, who won 77 caps for his country, told BBC Scotland in December that “the national job is something that would interest me” and that he still has “a lot to give the game”. His appointment will be officially announced on Friday morning. 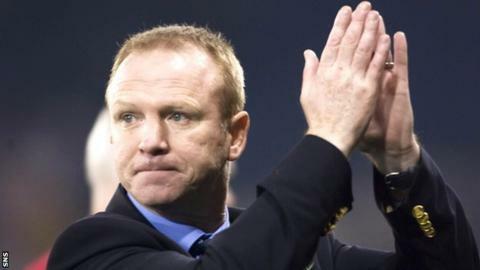 McLeish succeeded Smith midway through the Euro 2008 qualifying campaign and came within one game of reaching those finals, only to lose to Italy. However, after winning seven of his 10 games in charge, McLeish left for Birmingham City in January 2008. Speaking to BBC Scotland in July 2014, he said “wild horses couldn’t have dragged me” away had he led to country to the finals in Austria and Switzerland. “I was getting phone calls during the campaign from lower half Premier League teams and I said absolutely not,” he said. “I told my agent I don’t want any calls, any conversations about going to England because I believed we were going to qualify. But after the Italy game, the calls continued and it starts to play tricks with your mind. Birmingham were relegated in McLeish’s first season, but he earned them an immediate return to the English top flight and claimed the 2011 League Cup. Before that, he managed Motherwell, got Hibernian promoted, and won seven trophies – including two league titles – during a near five-year spell with Rangers. Since leaving Birmingham in 2011, he has managed Aston Villa, Nottingham Forest, Genk in Belgium and Egyptian club Zamalek.